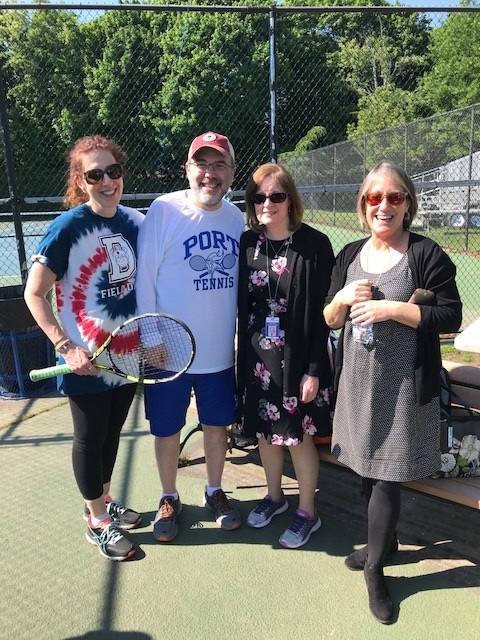 The Port Washington varsity boys’ tennis team held its first Autism Awareness “Play with the Teachers” tournament at Paul Schreiber High School on Thursday. Each member of the team asked a teacher or administrator from the Port Washington School District to pair up and form a doubles team in the tournament. Parents went out into the community to receive donations from local business which helped fill 27 baskets with amazing gifts! 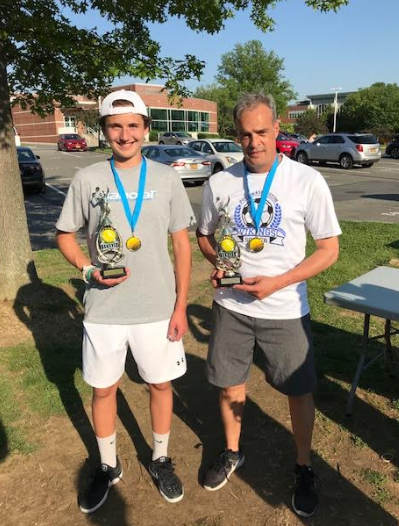 “It is truly a great way to bring the school, tennis program and community together for such a great cause,” said Port Washington head coach Shane Helfner. Gabriele Brancatelli teamed up with science teacher Mr. Fish to win the tournament. In all, the event raised $1,300, which will be donated to Autism Speaks.